The gun does give the basic shape and detail, No.1, certainly it's a good start for detailing. 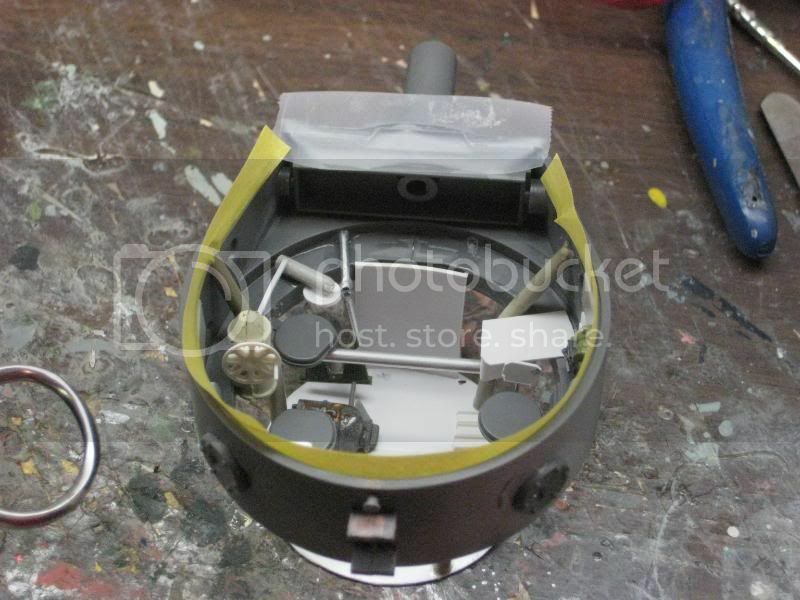 I dug through the spares and found several items to add some extra elements to the turret. A number of these parts are from a Revell Polaris submarine that I glued together in the early 1960s. It turns out that nuclear powerplant parts work pretty nicely in a Tiger! 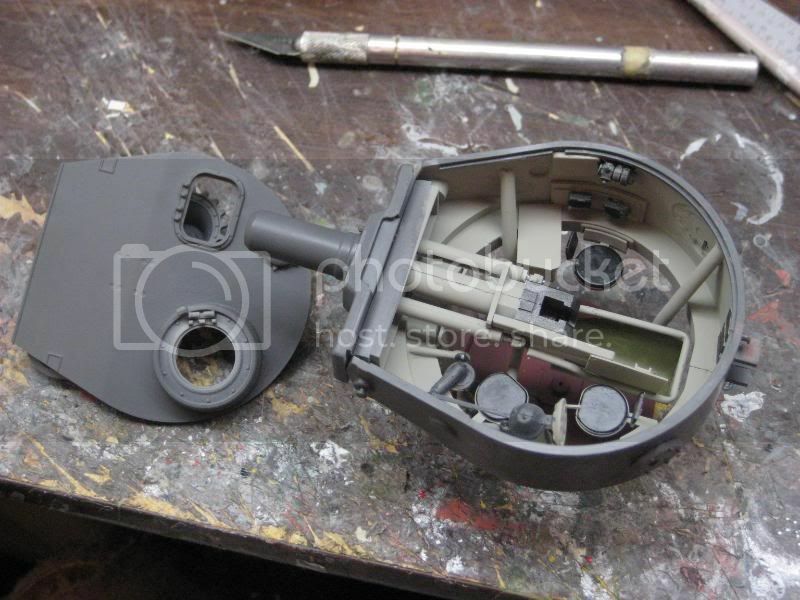 The first item in modifying the turret was to build the floor section. 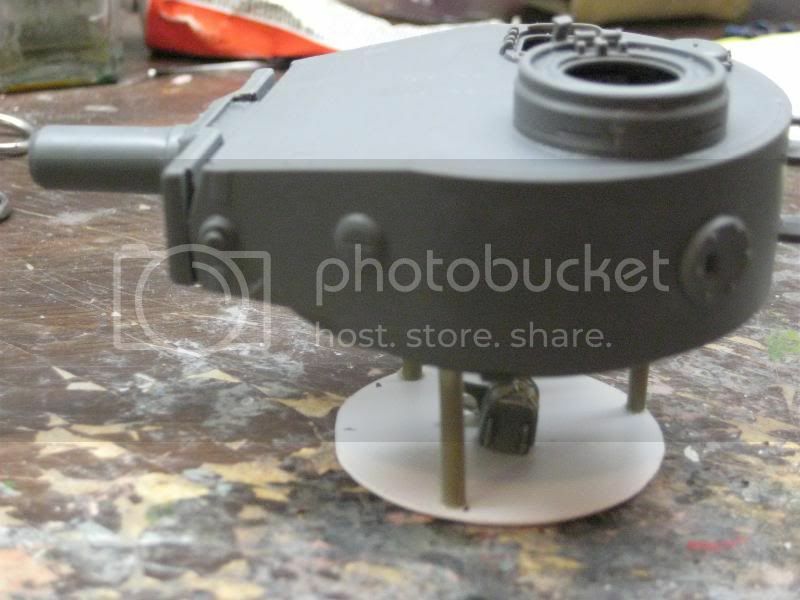 On the real machine the fighting compartment rotated with the turret so I cut out a circular sheet of styrene and used some Eduard sprue pieces for the three supports. 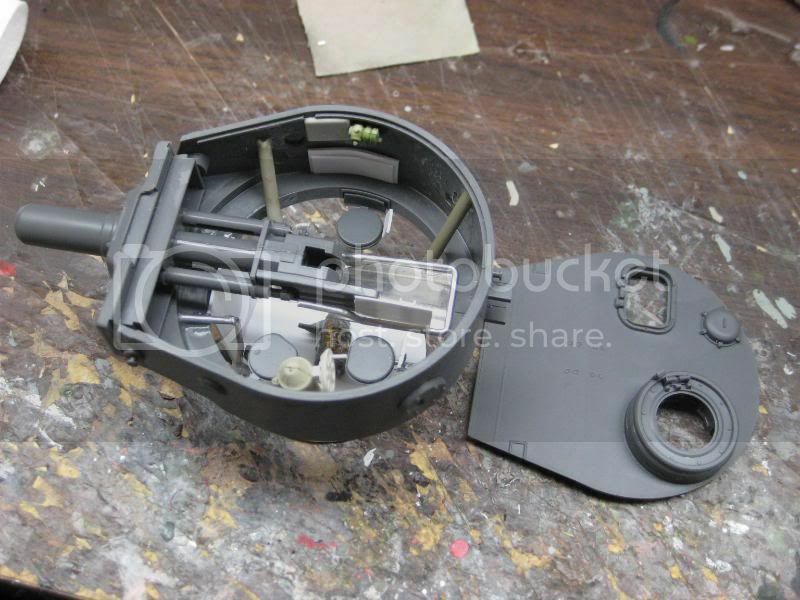 The item you see on the floor will eventually be part of the drive mechanism for the turret and came from the Polaris kit remains. Ha ha ha... Nice job mateee!! Strange but even as plastic kit it look danger! When my father told me about crawling around on the Tiger he always mentioned how formidable and intimidating this machine was. His maintenance unit had seen first-hand what a Tiger could do to a Sherman, Lee, or Grant. Dad's unit was a front line battalion that repaired/reworked/scavenged knocked out and damaged 1st Armored Division tanks after the Germans had savaged them with 88s and tank battles. He always mentioned that if the Germans had had more Tigers, and if their drivetrains had been more reliable, the British and Americans would have lost a huge number of machines to them. On the modeling front, I'm currently working with the EXCELLENT Eduard photoetch set right now. This is a great addition to the model that I wasn't going to invest in at first. I'm really glad I purchased it after using some of the parts! I'm glad to share what I remember. I must say that some of my information may not be 100% correct, but I'm trying to keep the details as accurate as possible. Dad told me of getting Tiger 712 operational at various times for many years. His remarks were always the same but I never wrote down any of it at the time. So, my memory may not always be exact in what he told me, and he may have missed some facts himself. I've been endeavoring to use research materials on the web to confirm what dad told me over the years. So far it's been pretty much as he told me. The interesting thing in my case is that I doubt very much I could ever find a U.S. or British AFV that dad worked on, but this captured Tiger was a part of his life for a week or two. I'm slowly finding a little more information about this episode and am working on researching it through the Aberdeen Proving Ground records. This was where the tank was shipped for testing and examination here in the States. A small turret update. Again, as mentioned earlier, this isn't a perfect representation. Instead it is a "junkbox" detailing. The two crew hatch openings are so small that I just couldn't justify buying a complete resing interior. Especially so since the finished model will be in a display box in our home. The crew seats are from the kit and the rest of the pieces are either Polaris submarine parts or styrene and aluminum shapes. You might say this is made from table scraps in a way! The neat thing of this is that my dad helped me build the submarine when I was a little fellow, so this whole thing goes full-circle in a way. 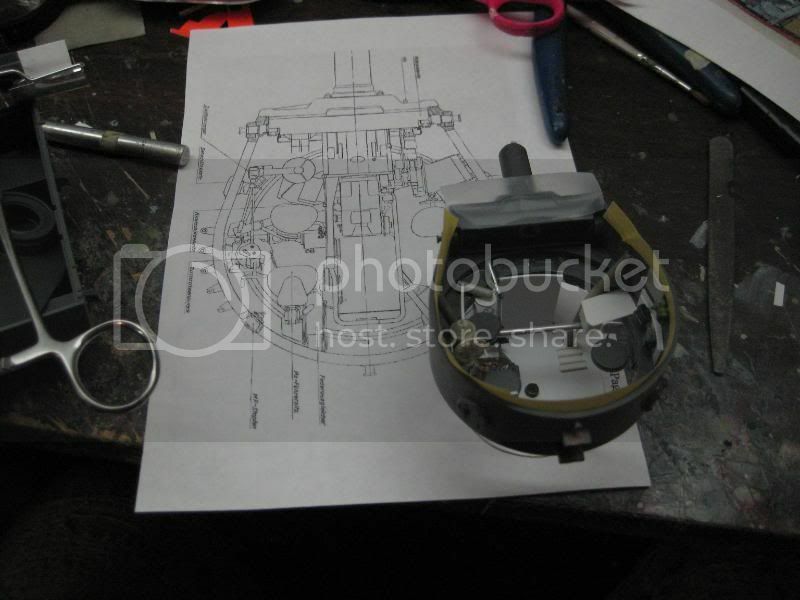 In the second photo you can see a nice copy of a German drawing of the turret interior. This, and many others, I found here: http://tiger1.info/ Lots of good research material published on this website and I am indebted to the author for his hard work. Hey- this is attractive By the way- gun barrel have visible join line or... ? Yep, there is a big seam on the gun. I was too lazy to remove it since it sits in such a way that it is invisible when the top is glued on the turret. The only thing you can really see through the hatches is a little of the breech and the scratchbuilt catch-basket.